Hello... My name is Neal. But how are they to call on one in whom they have not believed? And how are they to believe in one of whom they have never heard? And how are they to hear without someone to proclaim him? And how are they to proclaim him unless they are sent? 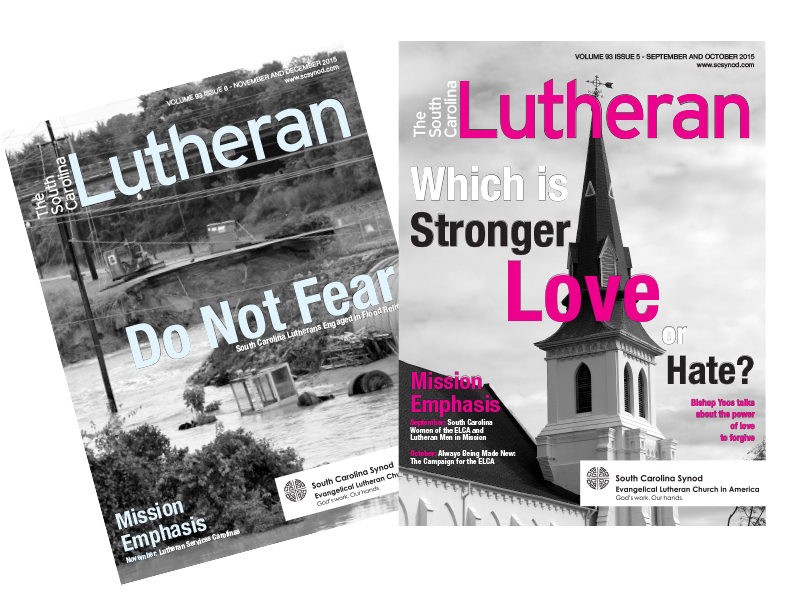 As the Director of Communication for the South Carolina Synod of the Evangelical Lutheran Church in America, Neal supports the Office of the Bishop, assistants, tables, auxiliaries, and congregations to build strong communication between the Synod and pastors, lay rostered leaders, congregational councils, members in the congregations, as well as communicating needed information to congregations from the wider church. 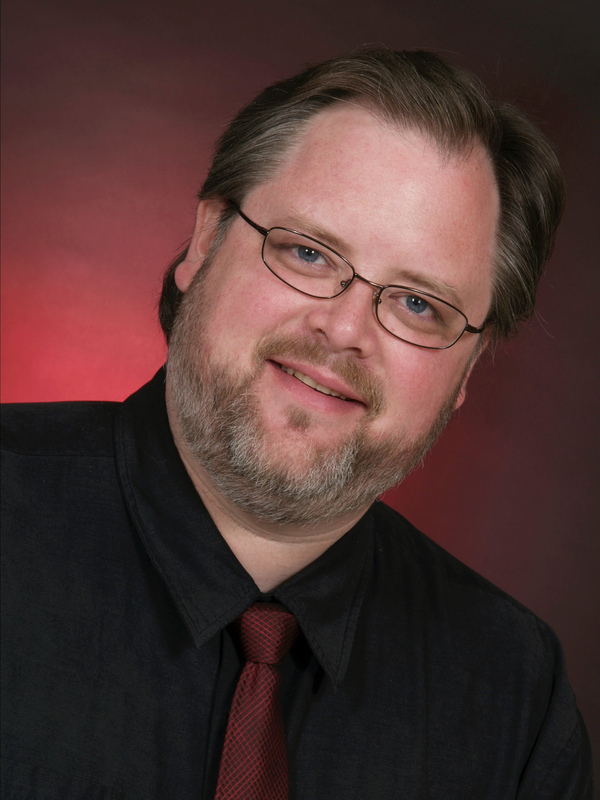 He assists in building relationships with and strengthening communities of the South Carolina Synod as well as helping maintain and develop partnerships with external communities to connect the Synod with local and global ministry opportunities. 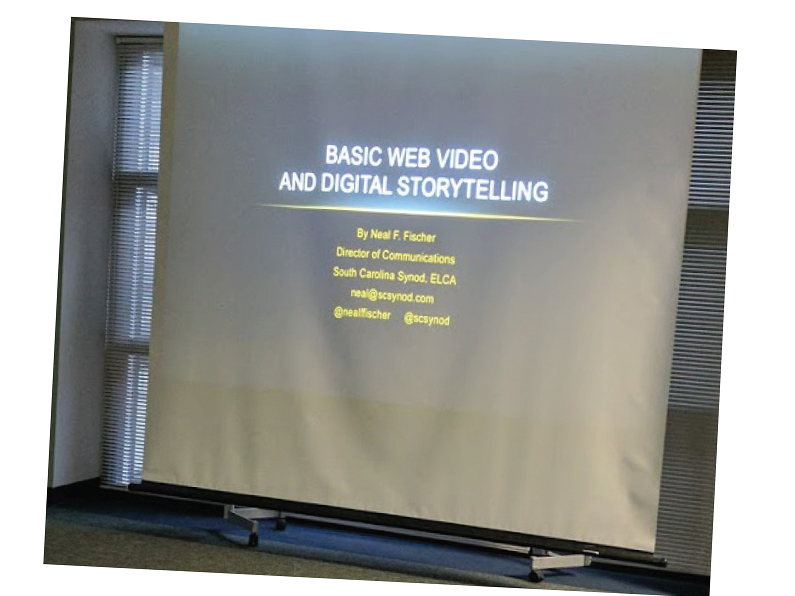 Neal’s calling is to guide the Church to increase its use and understanding of digital ministry and communications through social media, presentations, and online video. Prior to his calling to be a communicator for the Church, he worked as a teacher, radio announcer, and professional singer. He has a teaching certification from Carnegie-Mellon University and a Bachelor of Music Performance from the University of South Florida. Neal is married to the Rev. Michele C. Fischer, an ELCA pastor and chaplain. Together they help each other in their callings and in daily living. With the shootings in Charleston, national news outlets descended on our congregations, pastors, and the bishop. Helping them be prepared for some of the questions they would be facing helped to diffuse a number of situations through the early weeks of coverage. During the flood, we turned around quick stories and photographs helping to raise $200,000 within the synod. Those same stories helped LDR raise an additional $200,000. Rebuilt from the ground up to be “mobile first” in design. The website has moved from a series of static pages to a content management system based site. When I first arrived, the website was averaging 1,800 visits a year. Today, it receives 23,000 per year. Visitors have moved from consuming the site completely from their desktop to a place where 50% of the site’s visitors come from phones or tablets. 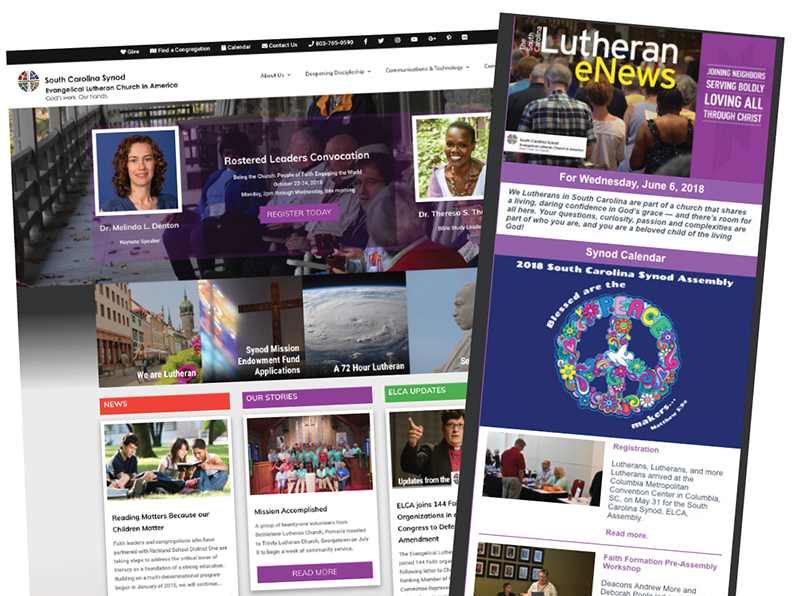 Likewise, The South Carolina Lutheran eNews moved to a mobile first design which has led to a 50+% open rate and a 20+% clickthrough rate with that growth being led by mobile usage. Both numbers are approximately double the average of most religious institutions according to our provider. 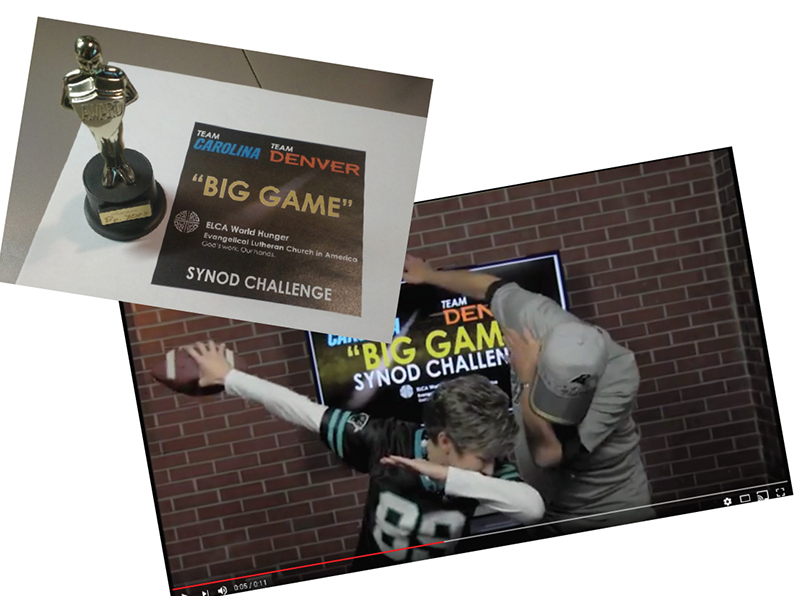 The Carolina Panthers played the Denver Broncos in the “Big Game,” the North and South Carolina Synods took on the Rocky Mountain and Grand Canyon Synods in the annual challenge. 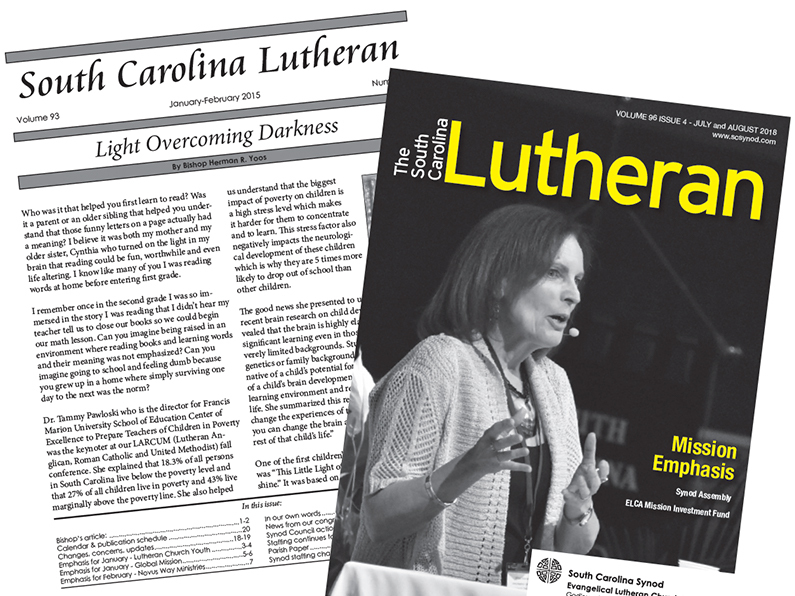 The two Carolina synods raised over $33,000 in under two weeks helping combine for a total of $77,000 for ELCA World Hunger. Print is a declining method of communication. Yet, it remains a main source of information for some members. In the three years prior to my arrival, the magazine was losing 1,100 subscribers per year. After a redesign, and adding writers, we’ve lost a total of 1,200 over the last three years. A dramatic slowing of loss that is naturally occurring. Each year I work with our NBC affiliate to live broadcast a Christmas Eve service from a Columbia area congregation. Purchasing quality production and streaming equipment, I was also able to webcast a special Reformation service from another congregation. 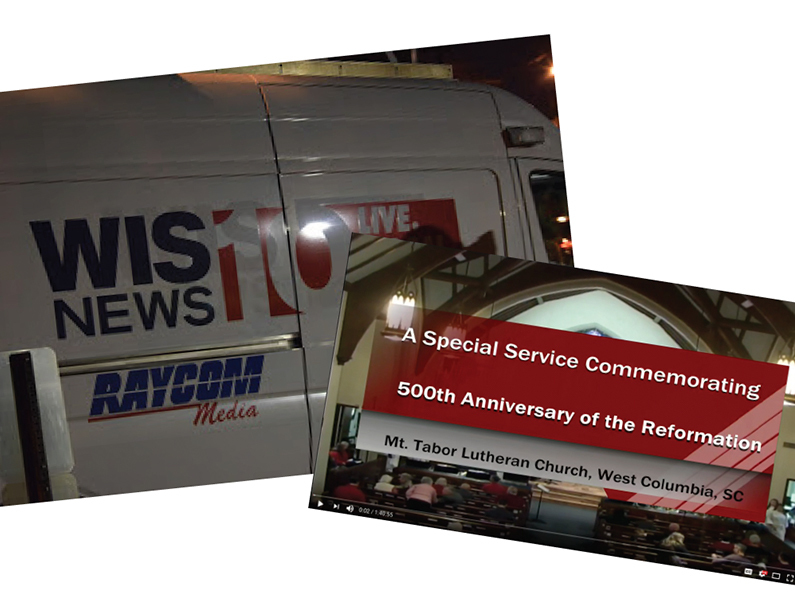 There were over 500 viewers live from as far away as Germany.Each year I have been blessed to work with our NBC affiliate to live broadcast a Christmas Eve service from one of our congregations in Columbia. By purchasing quality production and streaming equipment I was also able to webcast a special Reformation service from another of our congregations. There were over 500 views live from as far away as Germany. Presentation at eFormation event in Columbia. I’ve been blessed to have the opportunity to teach with eFormation, online video interviews, and helped to host the #ChSocM (Church Social Media) Twitter Chats created by Meredith Gould, author of The Social Media Gospel.